Kimbolton Castle was always a welcome sight for the men as it reminded them that they were over friendly territory and so they could let their guard down a bit. The castle is best known as the final home of King Henry VIII’s first wife, Catherine of Aragon. 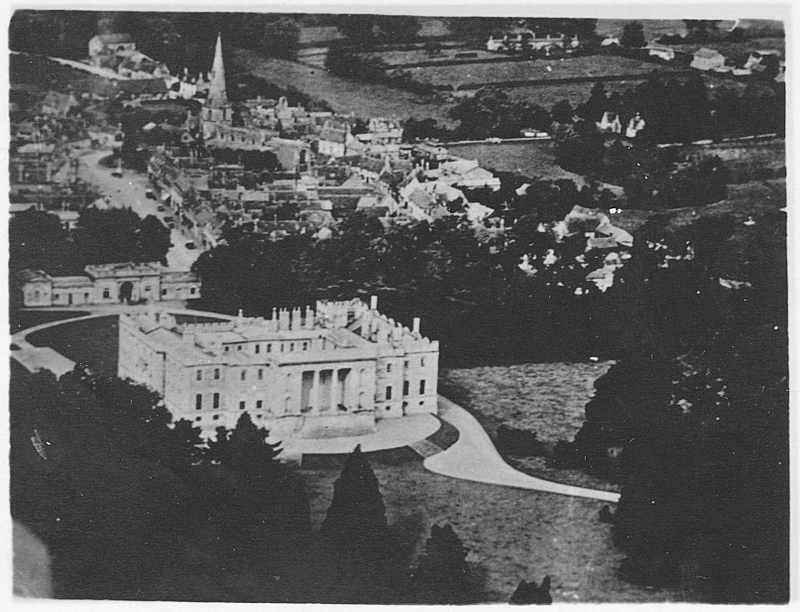 It now houses Kimbolton School, a private school for boys and girls between the ages of 4 and 18. Photo credit: James E. Rung. Position: #2, #2 Element, Low Sqdn., 41st “A” Gp. Bombs Away: 1159-1/2; 25300′; -37 degrees C.
Remarks: Scared from the time they woke me up. Flew with another crew. Pilot, co-pilot, radio-operator also flew. Each with different crew. I was flying with “bad luck” crew. Didn’t like name of plane. Light but very accurate flak on bomb run. Queen O’Hearts just off our wing. It received direct hit in right wing gas tanks. Burst into flame & went down. Saw no parachutes. Crew in it on 34th mission. Flame from Queen O’Hearts covered our plane. Tail gunner saw it, thought it was us, & bailed out over target. Enemy fighters attacked just after leaving target. Hit groups ahead & behind us. Most horrible sight I’ve seen. Sky filled with burning planes. Too many to count. Had to look away. Our fighters did a good job but couldn’t stop Nazis. Making suicide attacks against us. Thought I was on last mission. Wringing wet from sweat at -37 degrees Celsius. Felt like kissing ground when we landed. Learned we were attacked by almost 200 enemy planes. Think we were sent out as bait. Assigned plane belonging to crew who went down in Queen O’Hearts. It had been grounded for repairs. It is X4934 – Million Dollar Baby. Much better plane that Queen O’Hearts.